Halloween is over so now we are switching over to Christmas promotions! How fast time flies! The Shopping Channel has a Flash Sale today! 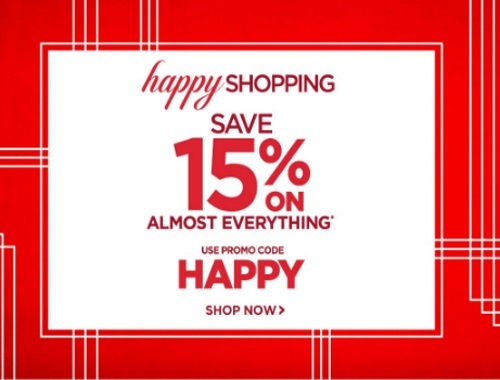 Save 15% off on almost everything with the promo code below! Enter the promo code HAPPY at checkout. Offer ends tonight, Tuesday, November 1 at 9:59pm ET. Click here to browse The Shopping Channel.